An exquisite perfect accessory for the modern woman. Amber round shape stone of yellow color in a refined frame of gold plate sterling silver will be the highlight of your any outfit. 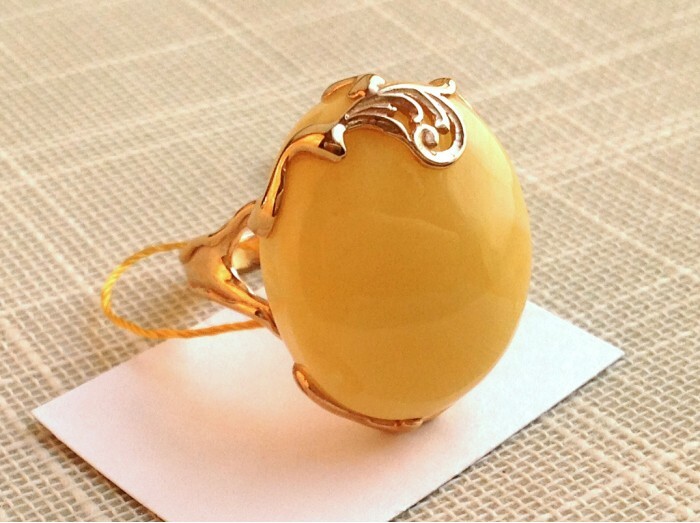 Perfectly shaped and polished amber stone with unique internal structure has an round oval shape. This ring will give refinement and nobility, attracting the eye of every passerby. Amber is framed in sterling silver, covered in gold.